If you aren’t following us on Instagram, Twitter, Vine, or Facebook, then you’ve missed some great fun! We’ve been at the San Antonio Cocktail Conference this week and posting as we go. 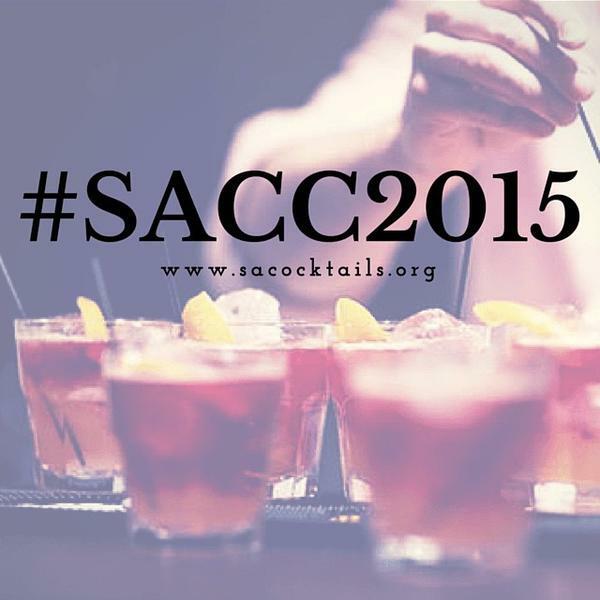 To track everybody’s fun, follow their hashtag #SACC2015. Today, we’ll attend Mezcal, and Pairing seminars (Tex vs. Mex: Texas Flavors vs. Mexican Spirits & The Relativity of Flavor Pairing), interview a few people and then support our friends doing good work at the Tequila Interchange Project by covering the fun at Lucha Limon. If you’re in San Antonio, stop by The Esquire Tavern at 155 East Commerce Street, San Antonio, TX 78205, for ¡Lucha Limón! from 3-5pm today. ¡Lucha Limón 2015! is Texas’ first introduction to this fast-paced, lime-squeezing competition to benefit the Tequila Interchange Project. Challenge your favorite bartenders’ chops at this most essential of bar tasks! $10 gets you entered into the competition, and the opportunity to win some great prizes including rare tequila & mezcal bottlings, gift certificates, and more! Please join David Suro, Emilio Veyra, and Miguel Partida of Siembra Metl along with Judah Kuper and Aquilino Garcia Lopez of Mezcal Vago, following their SACC seminar. 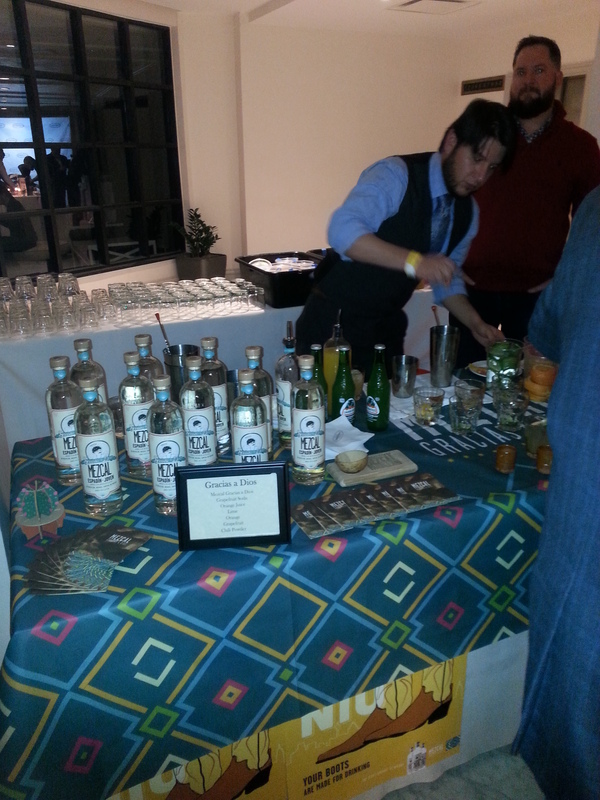 Swing by and meet 3 Master Mezcaleros from 3 different states, taste their art, and learn more about their work. This is a true honor to have these 3 Maestros in San Antonio! Please join us for this unique opportunity. Cocktails & Tequila/Mezcal tastings for great prices! TIP is a non-profit organization and consumer advocacy group comprised of bartenders, consultants, educators, researchers, consumers and agave-spirit enthusiasts. Our organization advocates the preservation of sustainable, traditional and quality practices in the industries of agave distilled spirits. In light of current trends that are becoming mainstays in the production of agave distillates, TIP seeks to place a renewed emphasis on the importance of preserving the great heritage of agave distillation in Mexico. David & JP wove their spirits’ stories together, describing the many similarities. In my opinion, this was a brilliant class. You wouldn’t expect to find much in common when comparing Scotch Whisky and Tequila, but Juan Pablo De Loera of Milagro Tequila and David Allardice of Glenfiddich found too many commonalities to dismiss. Their weaving of information about these spirits from Mexico and Scotland as they walked us through a comparison tasting was inspired. Our tasting table complete with the pre-tasting sweet potato empanada, the perfect palate reset before our tabletop travel. 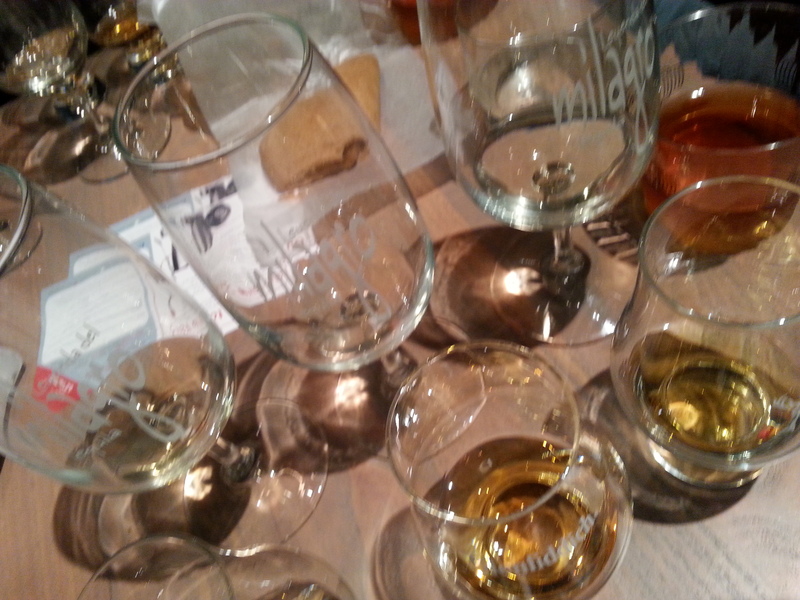 The big surprise during this tasting was the Glenfiddich 125th Anniversary Edition. At first whif, you might think it is a Mezcal, but this smoky, smooth, sensuous Scotch had me at “Slainte”. If you can get your hands on some of this, buy it – and guard it closely – this is definitely a keeper! Bobby walked us through a flight of Ambhar. We were impressed with the juice as well as Bobby’s insistence that we have the proper glassware to taste it. In the middle of a long day of drinking, one really needs a place to relax. OK, maybe not, but we had a wonderful time talking to the folks at Ambhar Tequila and tasting their spirit in their very thoughtful “Relaxation Lounge”. Ambhar is experiencing a bit of a rebirth since it’s purchase a little over a year ago and the team that they’ve assembled is energetic, enthusiastic, and really know they stuff! As soon as we walked in the door of the St. Anthony Hotel, we were greeted with a delightful surprise! Espadin and Tobala, Gracias a Dios! Gracias a Dios Mezcal, that is. 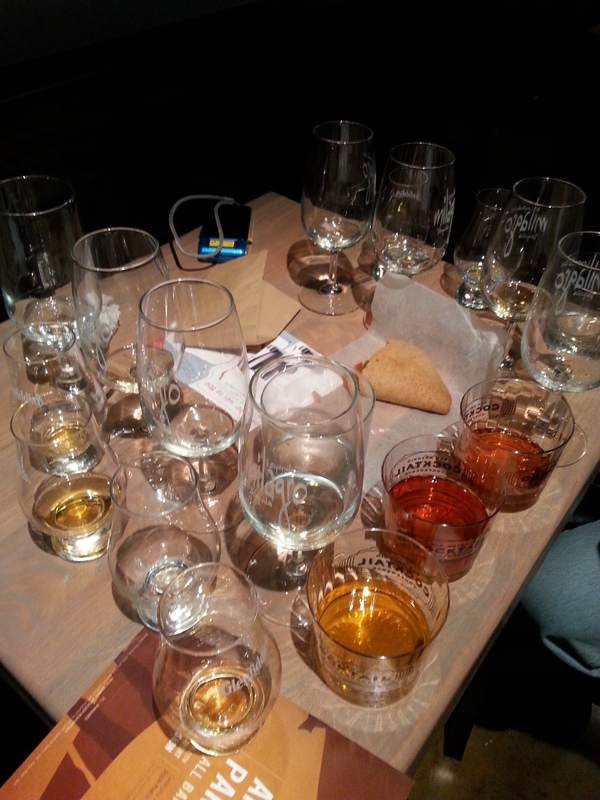 We had a great time talking to their team and tasting their spirits. Look for this brand in Texas now but we expect the world will be demanding it soon! After a much needed break for some refreshing Voss water, we explored the many bars – there were too many to count – there at the St. Anthony Hotel. Dulce Vida Tequila had the workingest mixologist behind their bar! He was shaking up what looked to be some delicious palomas. We didn’t have a chance to taste them because, as fast as he was mixing, he just couldn’t mix them fast enough for the crowd. We shot this vine of how hard this fellow was working, so you can guess the line was pretty long for his drinks. 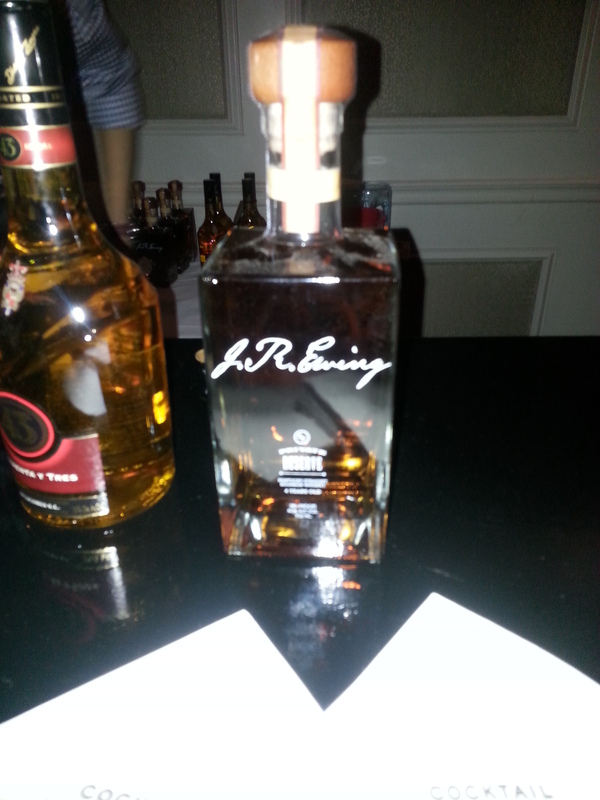 Topping it all off, we allowed ourselves the luxury of a J.R. Ewing Bourbon, straight up. As die-hard Dallas fans, we couldn’t miss the opportunity. J.R. Ewing Bourbon was everything you’d expect from the man whose name it bears – smooth, a touch of sweetness, and a little heat that makes you want to dance with the devil all night long. The band, The Nightowls from Austin, was rocking the house, so we did just that – we danced. #SACC2015: A great time was had by all!